BuildForce Canada is a national organization committed to the development of a highly skilled construction workforce. The LCA is now an approved distributor for BuildForce Canada’s e-learning courses. Courses are provided to our members at reduced rates. For more information or to register for a BuildForce Canada class, contact the LCA office. This course has been designed to help improve written, oral and negotiating skills within the construction industry. Click here to download the fact sheet for this course. The Construction Industry Ethics course has been designed to help you understand ethics as it relates to the construction industry through practical examples of ethical decision making. Click here to download the fact sheet for this course. This course is designed to teach and familiarize owners, managers, supervisors and project managers with construction contracts and contract law; liabilities and responsibilities of all parties to a Contract, compiling and submitting proper extras and claims, and ways and means for leaders to avoid conflict with contracts, owners, trades, and labour. Click here to download the fact sheet for this course. This course has been designed to help managers administer projects from start to finish. Click here to download the fact sheet for this course. 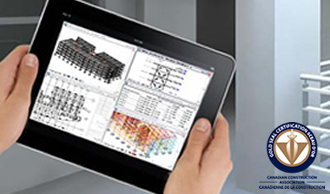 As an emerging technology, Building Information Modeling (BIM) is generating a lot of buzz in the construction industry. This course provides an overview of how this technology positively impacts the construction process. Click here to download the fact sheet for this course. Accurate and precise estimating is critical to the financial viability of a construction firm. This course provides an introduction to the field of construction estimating and covers all aspects of the production of an accurate estimate. Click here to download the fact sheet for this course. This course offers the critical basic skills and concepts needed to supervise a crew in the residential, institutional, commercial, industrial and civil construction sectors. Click here to download the fact sheet for this course. This course is intended to equip you to be successful and participate in creating a respectful and inclusive workplace. Click here to download the fact sheet for this course. Confined spaces can be hazardous if not approached with an understanding of how to prepare for entry, how to enter and work safely, and what to do if an incidence occurs. This course will introduce you to the types of confined spaces and the associated hazards. Click here to download the fact sheet for this course. This course has been designed and developed by the construction industry to address health and safety issues specific to pipeline construction in the oil and gas industry. Click here to download the fact sheet for this course.